A. Gabriel Meléndez, a Distinguished Professor of American studies at The University of New Mexico and author of several books including “The Book of Archives and Other Stories from the Mora Valley, New Mexico,” which is his latest book that strings together humorous, tragic and quotidian vignettes about historical events and unlikely occurrences, creating a vivid portrait of Mora, both in cultural memory and present reality. In the shadow of the Sangre de Cristo Mountains, New Mexico’s Mora Valley harbors the ghosts of history: troubadours and soldiers, Plains Indians and settlers, families fleeing and finding home. There, more than a century ago, villagers collected scraps of paper documenting the valley’s history and their identity—military records, travelers’ diaries, newspaper articles, poetry and more—and bound them into a leather portfolio known as “The Book of Archives.” When a bomb blast during the Mexican-American War scattered the book’s contents to the wind, the memory of the accounts lives on instead in the minds of Mora residents. Poets and storytellers pass down the valley’s traditions into the 20th century, from one generation to the next. A native of Mora with el don de la palabra, the divine gift of words, Meléndez mines historical sources and his own imagination to reconstruct the valley’s story, first in English and then in Spanish. In this pathbreaking dual-language volume, Meléndez joins their ranks, continuing the retelling of Mora Valley’s tales for our time. Local gossip and family legend intertwine with Spanish-language ballads and the poetry of New Mexico’s most famous dueling troubadours, Old Man Vilmas and the poet García. Drawing on New Mexican storytelling tradition, Meléndez weaves a colorful dual-language representation of a place whose irresistible characters, unforgettable events and the inescapable truths they embody, still resonate today. In an interview with Pasatiempo, an award-winning arts and culture magazine published by The New Mexican, Meléndez describes himself in the book as the valley’s latest chronicler. 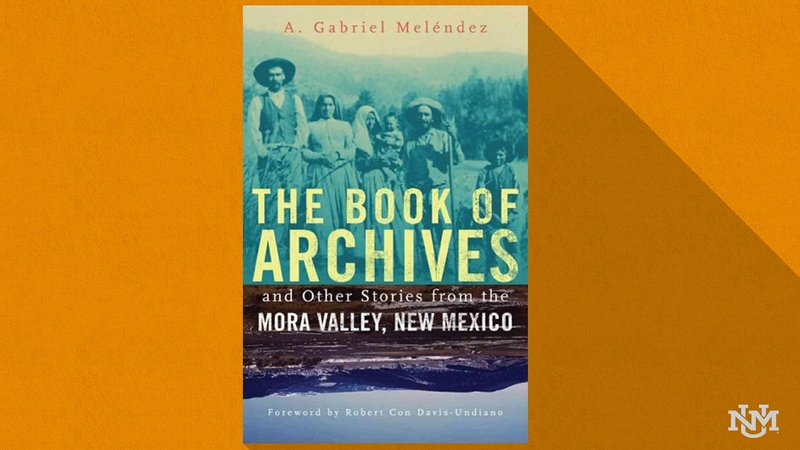 “The Book of Archives and Other Stories from the Mora Valley, New Mexico,” can be purchased on Amazon. Other books Meléndez has published include Spanish Language Newspapers in New Mexico, 1834–1958 and Hidden Chicano Cinema: Film Dramas in the Borderlands. Meléndez, a well-established scholar of southwest borderland studies who was appointed director of UNM's Center for Regional Studies in March 2017, obtained his doctorate from UNM in 1984 after teaching at the University of Utah in Salt Lake City, and at Mills College in Oakland, Calif. He returned to UNM to complete a Rockefeller Humanities Fellowship at the Southwest Hispanic Research Institute in 1991 and joined the American Studies faculty in 1994.